Mangoes are an excellent source of vitamin A, which promotes good vision, especially in dark light. Did you know that potassium is needed to build muscle? Snack on mangoes for a good source of this key ingredient. 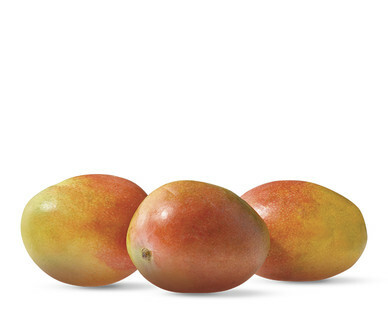 Mangoes contain an enzyme that can tenderize meat and yield a flavorful sauce. Just make sure you do not leave the meat in the marinade too long. Get slightly firm mangoes with a sweet aroma. Avoid sap on skin.